Jon: This Seasons Eyewear Trends & Their Challenges. This seasons eyewear trends and their challenges. 2018 much like any other year in fashion marks a time for new creations, adaptations and surprising influences within the fashion houses. 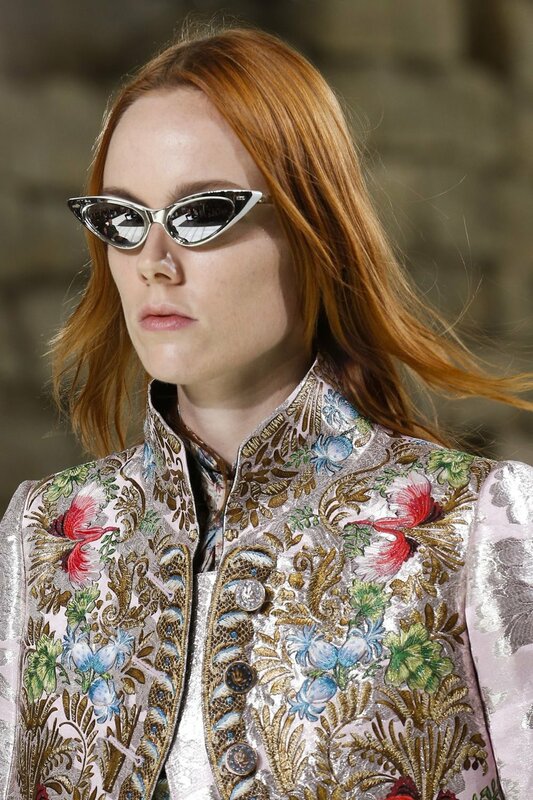 With eyewear now firmly recognized as much as a fashion item, as it is a functional item I thought it might be an idea to look at some of 2018’s emerging trends, reconsider some lingering ones, alongside taking our regular sideways look on what the taste makers or should I say taste adaptors want to see us in this season. The first eyewear trend that’s has been gaining traction over the past few months I'm going to describe simply as the slim sunglass or undersized sunglass. There’s a lean towards the mid century Harlequin and cat eye shapes from an array of houses this season. “Ohhhh Hell No” I hear you scream! Haven't we all just invested in the idea that bigger is better? Wellll.....Yes! We have been using the word oversized for some time now so this was bound to happen! Fear not though as we live in a time were trends can coexist, perhaps larger sunglasses will now be a staple and these smaller styles will fill their place as niche options, only time will tell. This trend is a challenge on a practical level as eye coverage is significantly reduced. With UV protection of the upmost importance we will have to suggest these frame types on a case by case basis. Looking for evidence look no further than influencers such as Kourtney Kardashian and Rhianna wearing smaller sharper sunglasses. Louis Vuitton, Armani, Prada and Mui Mui are all pushing this trend this season. The second trend on our radar is an adaptation of last season’s favourite the oversized aviator. Luckily this is a trend that’s a little more familiar and easier to style clients in. This seasons’ adaptation comes in the form of bolder heavier looking acetates which reminds us of the 80s and 90's with larger logos and vibrant tints. Anyone looking for that statement retro yet somehow futuristic piece; look no further, for those with an unnatural fear of the bold possibly look elsewhere. Christian Dior seem to be leading the way here. The final trend coming through this season is again a controversial one and presents its own unique challenges. This trend can be described as kind of sports luxe but has its roots in ‘Normcore’ and ‘Gorpcore’ trends. Put simply those brands you used to hike in are now cool and ugly as hell is the new beautiful. The sense of irony within this trend is hard to ignore. Think of an Oakley sports shield and your half way there. That said I have no doubt this trend will look amazing when styled well on the right person. With Shield lenses don't forget that glazing prescriptions can sometimes be limited so this one might be for the rare breed seeing 20/20! Looking for evidence look no further than Pharrell in Oakley and Rihanna in Puma/Fenty. For the best examples of this style look out for Stella McCartney’s SS collection. Whatever trend your chanelling here at Eyesite we are up for the challenge. Last week I visited one of my favourite cities in the world: Amsterdam! Following up from John's blog post I decided to write the second installment in the micro-adventure travel series! I wanted to share with you the contents of my bag for the trip and a selection of popular eyewear styles seen in the Netherlands, for extra inspiration! My bag of choice is my Louis Vuitton Never Full. It's my very own Mary Poppins bag! You literally can never fill it. It comes with an inside clutch to keep valuables safe like my passport. Not only is this bag really good for travel but it’s also a staple for effortless street style. Packed in my bag is - of course my iPhone! When I’m visiting a different city I've found Google Maps has become my best friend. Whether it be navigating me to an over hyped restaurant I've seen across the blogs or finding which tram I need to catch to get me back to the hotel: your phone will be your saviour! However, as amazing as our phones are we all know how incapable iPhones are of holding their battery charge! This is the reason I've found it’s always handy to carry a map of the city you're visiting and a portable phone charger. This means I can take as many Instagram worthy pictures as I want all day long (see pic below) without the disturbance of a dead battery. Amsterdam is renowned for its cold climate in the winter months but that also means the sun is extremely low in the sky so I’ve constantly got my sunglasses on. I chose to pack with me my Rayban Hexagan sunglasses, I paired these with my long grey coat, white scarf and pink beret! Finally, in my bag are my Tom Ford round optical glasses. These round specs are made from part acetate, part titanium so they're super lightweight and comfy! I purposely packed this particular frame out my collection as there is a common theme of round spectacles in Amsterdam. Large or small, acetate or metal you can’t help but be inspired by their choice of round eyewear. I thought it'd be a really great idea to show you a selection of frames found at Eyesite that are really similar styles seen in the Netherlands. Designed with a wrapped metal nose bridge these glasses are my star specs in my blog post this month! Time flies by when you're having fun and you’ve only gone away for the weekend but I believe January is the perfect time to plan a mini break. It sets my year off to a positive start and I come back feeling refreshed and ready to take on the world! If there’s one thing that I did learn about myself on this trip: you can't break my addiction to eyewear, no matter where I am in the world I will always be inspired by what the people around me are wearing. Everyone stop what you’re doing - put down the mince pies… and the mulled wine and get ready to welcome the 2018 New Year!! As most people are cheering on ‘out with the old and in with the new” I thought it’d be a great opportunity to reflect back on just a handful of the amazing pieces that dropped in 2017 that will continue on into the new year. Bold and beautiful. Chanel really turned heads with this unique piece. The Chanel Butterfly is made up of its statement shape, 8 different contrasting colour ways and all featuring 18karat gold lenses. This screams elegance, class and luxury all in one. It’s all in the detail! Mix and match your ‘eyebrows’ with the Jimmy Choo Lash/s. This innovative design features two different pairs of detachable ‘eyebrows’ with each piece - switch it up depending on your mood or outfit. A definite must in every eyewear-addict’s collection. The perfect Pop of colour! Simple, yet extremely effective the Dior Pop is all lens with a quirky twist - a personal favourite of mine. This piece is giving me major 70’s vibes with its lightly tinted lenses featured in pink, purple, yellow and blue. The Pop was heavily featured in magazines and even in a music video. If you haven’t already seen it please feel free to check out Dua Lipa – New Rules music video. Way ahead of it’s time; The Jacquelyn is super oversized and stylish. If you’ve read my previous blog (which I know you most definitely have) you will already know large metal frames are key trends going into the new year. The mirrored lenses are an obvious crowd pleaser but the large cat-eye shape is the headliner for me. I think 2017 has been an amazing year for colour and design and I‘m so excited to see what the New Year brings - and not just in our eyewear. Wishing you all the best going into the New Year and I look forward to seeing you in store very soon!!! It’s that time again and it’s hard to believe we only have 10 days left of 2017 and what a year it has been. Working in Optics has really opened my eyes (pardon the pun!! ), but seriously, it has DEFINITELY opened my eyes to how important your eye health really is. Here are 3 New Year’s resolutions that everyone should follow, whether you wear glasses or not. 1. Look after your eyes. After all we all get one set of eyes and they are one of the most important senses of the human body. Many people set resolutions to lose weight or exercise more but do not forget your eyes. Sight tests do not just clarify whether or not you need glasses, but can detect many problems with your health before you receive any symptoms. Get your eyes checked! Get your children’s eyes checked and make sure you rest those peepers. The most important resolution in my opinion. This doesn’t just relate to your eyes but with everything you do. For me, glasses are an everyday necessity; there isn’t anything in my wardrobe other than glasses that I keep on all day, every day. Dress and accessorise your look with a ‘who cares’ attitude and confidence and don’t be afraid to make a statement with your glasses. Spend less time worrying about cleaning your lenses (as Nikon have a dirt and grease repellent coating) and spend more time enjoying them! My personal faves for the winter season. 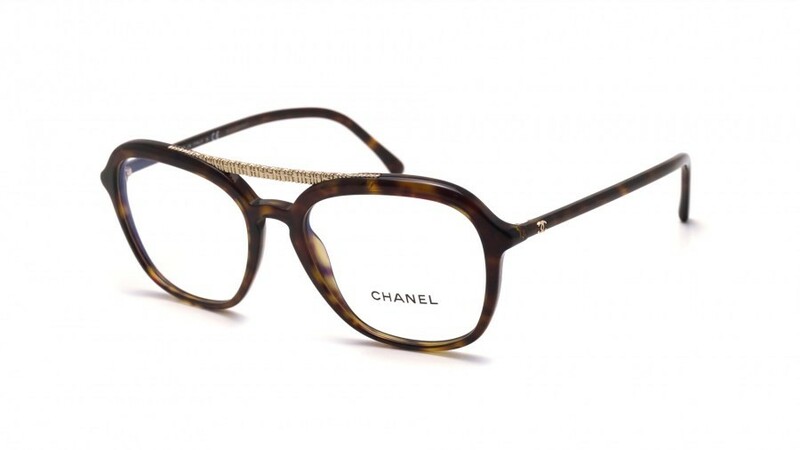 As Tweed is one of Chanel’s key materials to use, we now have this oversized square pilot optical frame which is Chanel’s newest take on tweed, known as the ‘boyfriend tweed’. It is a look of tweed by using imprinted metal across the top of the frame on the double bridge and also made with acetate. It has the classic CC logo on the sides of the frame to keep it as minimal yet effective as possible. Not only are sunglasses everyone’s number one accessory but they protect your eyes from harmful UV rays. Why are sunglasses just considered for summer? They are needed all year round, the sun comes out every day as much as we don’t notice that.. If you're not daring enough with your optical glasses, then be daring with your sunglasses! They instantly make any outfit look cooler. Throwing it back with the DiorLia, the classic 70’s inspired aviator style with a modern twist. With the classic CD logo on the sides taking it back to Dior’s roots. The gradient colours running through the frame making it different from all the rest, however using versatile colours such as brown, green and grey that will go with every day looks. As proven the Dior Lia will upgrade your outfit to another level as it’s bold yet with subtle colours. DiorGaia and DiorBianca are also from the same collection offering the gradient colours with a transparent effect but in different shapes but all being the oversized sunglass of the season. Fendi is world renowned for their fun and bold designs, and this autumn/winter is exactly that. This seasons campaign is called "F en Folie" which is a reference to their playful and unexpected designs which will feature - they’ve even gone as far as to create an all-new face logo which displays the circular F.
My favourite piece of the collection is The Fendi Run Away sunglasses. 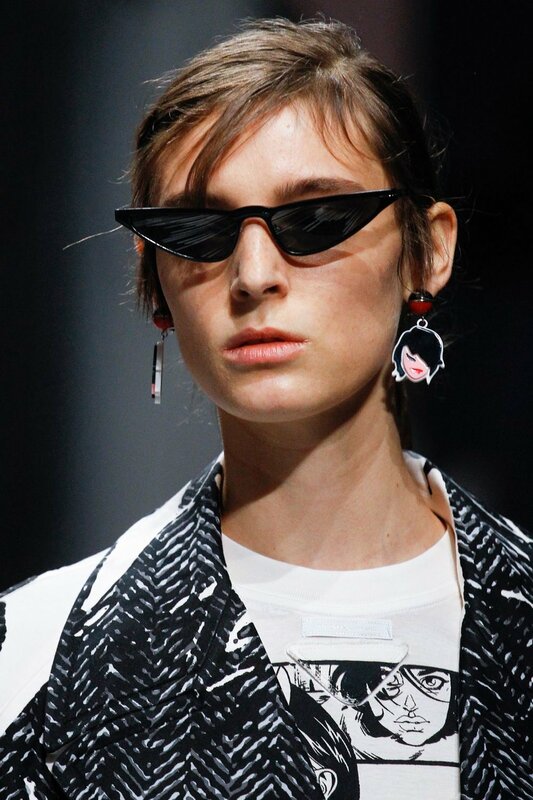 The design is constructed of its bold, oversized, circular lenses with very fine metal sides and a double bridge - TOP TIP: keep a look out for large metal designs because they are a key trend across the catwalks this autumn/winter. 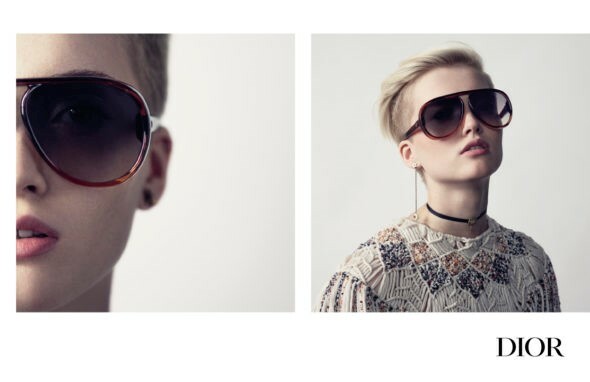 The over exaggerated round shape of the sunglasses is what gives this piece it’s Fendi identity. The use of bold shapes and bright colours are key ingredients into making a Fendi design. Which brings me nicely back to the Fendi Run Away. Keeping in suit the front lenses feature a large stamped F logo covering the front entire lens. 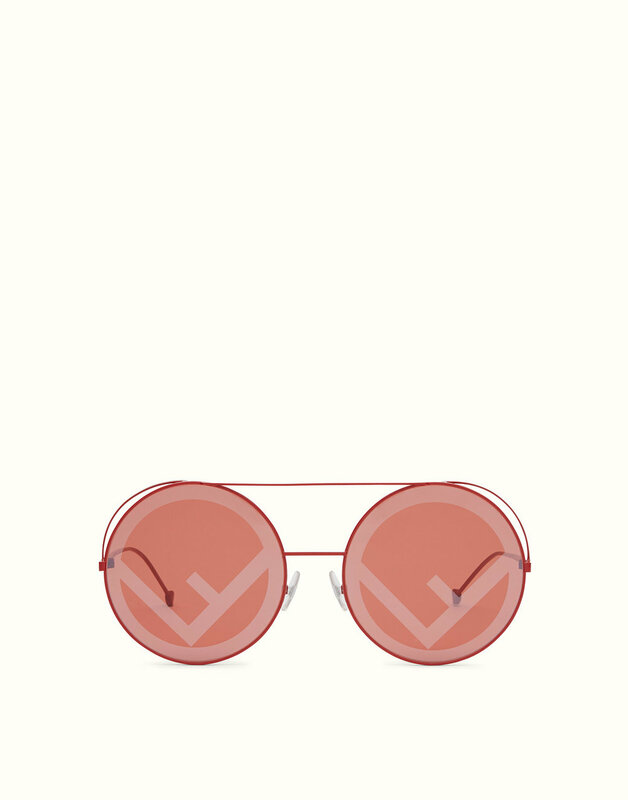 The logo is then mirrored to make the sunglasses pop even more, this has Fendi written all over it– literally. I believe what makes these tone-on-tone sunglasses unique is how the frame extends above the surface area of the lens giving them an outline effect for extra definition, once again proving to me why I love these over-sized sunnies so much! A colour for every occasion this piece features five fun colour ways: red, brown, pink, blue and black. So the question is; which colour will we see you rocking this Autumn/Winter?